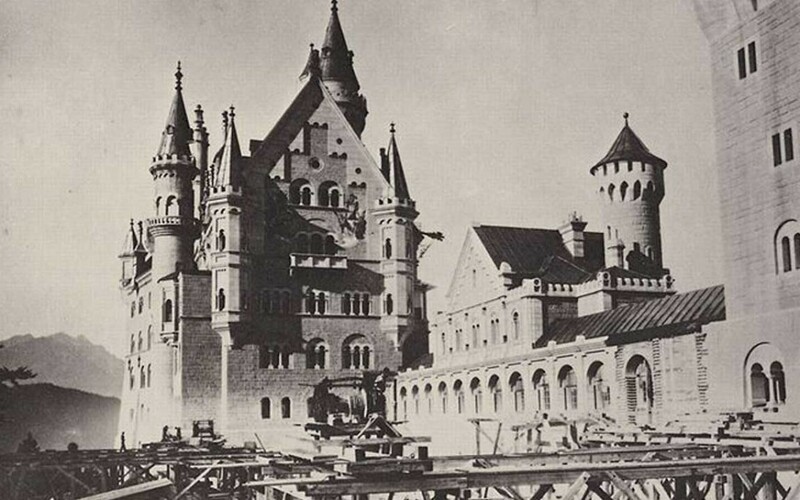 Only being unified in the 19th century, Germany contains many of Europe’s most historically important castles. Some of them are so beautiful that they put Walt Disney to shame – but even beautiful castles have dark pasts. Legend tells of many haunted castles in Germany, spread across the great German countryside they have terrified locals for generations. Tales of hauntings were romanticised in Prussia and Germany for hundreds of years. I’m sure they still are because there are so many! This is a list of 10 haunted castles in Germany. Built in the second half of the 19th century, Neuschwanstein Castle is one of Germany’s most popular tourist attractions. Looking straight out of a fairytale, it served as the inspiration for the ‘Sleeping Beauty Castle’ in Disneyland. It was built for the King of Bavaria and it’s interior is fit for a king. Even the grotto looks like something from the elder scrolls. It is said to be haunted by spirits that predate it’s construction – as it was built on top of the ruins of two much older castles. Old men can supposedly be seen at night dressed in 17th century military uniforms and moaning while floating through the air. Local legend says they were Generals in the Bavarian army who displeased their king, with deadly consequences. Neuschwanstein is the most beautiful of all the haunted castles in Germany – and most famous too. Wartburg Castle was built in the middle ages by an evil count. It swiftly became the most important Prince residences in the region, and in 1317 it was set on fire by a lightning strike. Many took it as a sign of gods anger at it’s residents. Legend tells that several prisoners died in the dungeon. The dungeon was notorious among the local peasants – who were in constant fear of being dragged into it. It is one of the best preserved buildings of it’s era, which attracts just as many historians as paranormal investigators. It is said to be home to the ghosts of a group of soldiers who commit suicide during the Napoleonic wars. Sick of war, they killed each other but were denied entry to heaven as suicide is a sin. 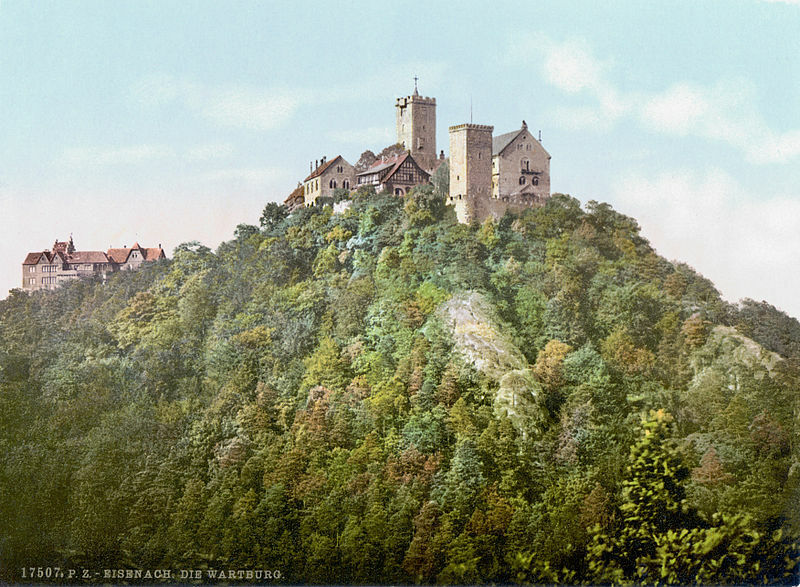 Sausenburg Castle is right on the edge of the historic and legendary Black forest. 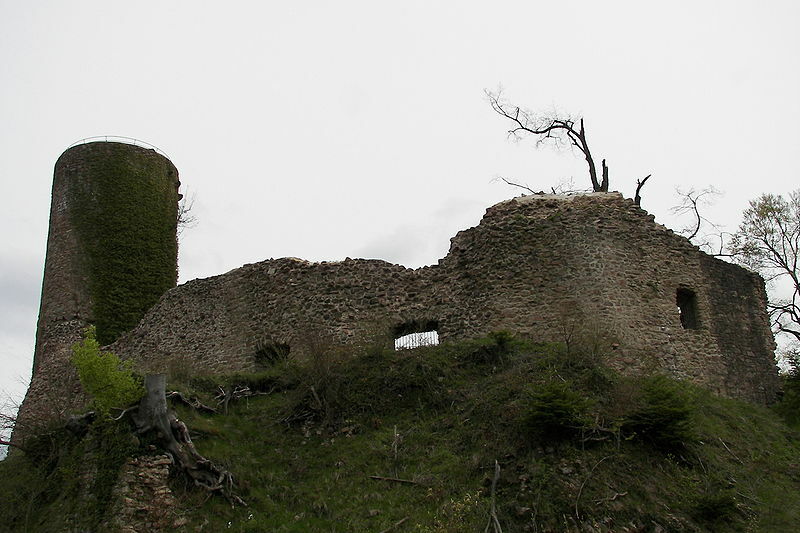 The castle itself lies in ruins and has done since 1678 when it was demolished. It was built by monks in the 13th century to discourage foreign barbarians from stealing their treasure. It was destroyed in 1678 by a French army during the Franco-Dutch war – it’s kinda amazing that it’s ruins have stood for so long since. It is said to be haunted by the very monks who originally built it. At night they walk in circular unison with lit candles in their hands. Legend says their spirits may only leave when the entire structure collapses to the round. At this point some walls and a tower. 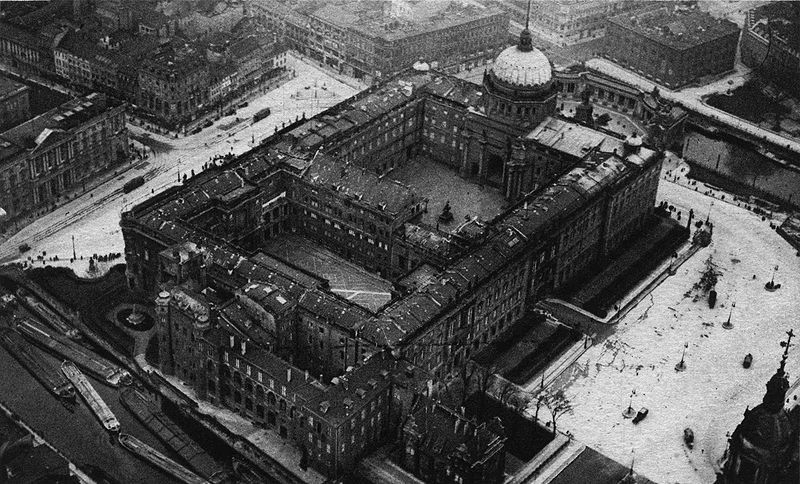 Berlin City Palace doesn’t actually exist any more, it was destroyed at the end of WW2. 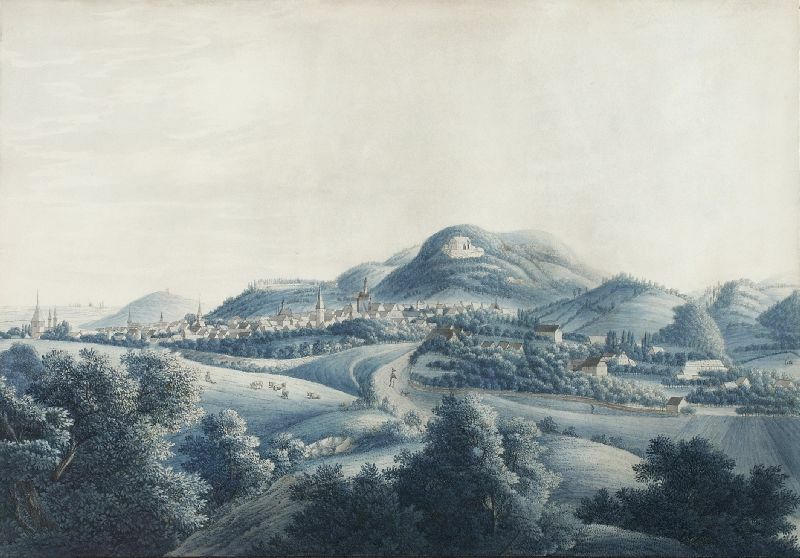 At one time it was the most important castle in the region, housing the Prussian royal family. It was built in the 1440s for the Prussian ruler known as Irontooth and it turned out to be one of Germany’s architectural gems. After being completely destroyed by the Soviets, it is now currently being rebuilt on the same site. 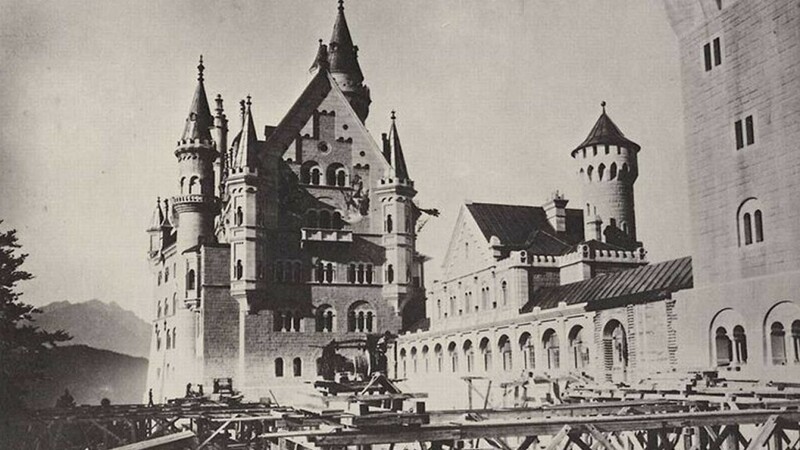 Legend tells it was one of the most notorious haunted castles in Germany. Apparently it was home to the ghost of a Prussian servant who had his body cut in half after disrespecting a prince. As he died being cut in half, his ghost was forced to drag itself along the hall floors. Wernigerode Castle was built in the 19th century but the land itself has a much longer history. It was an administrative hub for a number of kingdoms – very boring stuff! But something that isn’t boring is the nature of paranormal activity within Wernigerode Castle. According to local legend, anyone who enters the castle at midnight on Christmas eve will be cursed. The next day they will be visited by the ghost of someone close to them who died. But their ghost won’t remember them; the ghost will gouge out your eyes. On top of that happening, no one will believe your story. Built in the middle ages, Berwartstein is one of several rock castles that stood as a warning to foreign invaders. In the 13th century it was home to a group of bandits who used the castle to hide their stolen goods. They also imprisoned 30 knights they captured as prisoners, which they sold back to their lord. The castle was destroyed in 1591 by fire caused by a strike of lightning. The castle then stood completely abandoned until the year 1893 when it was purchased by a new owner. The castle was soon restored and looked after. This is when rumours of paranormal activity started to emerge. The castle features deep underground tunnels and secret passages, including a passage leading to the passage below. The tunnels are said to be home to the ghost of one of the original castle builders who got trapped inside. The tunnels apparently collapsed behind him and he starved to death. 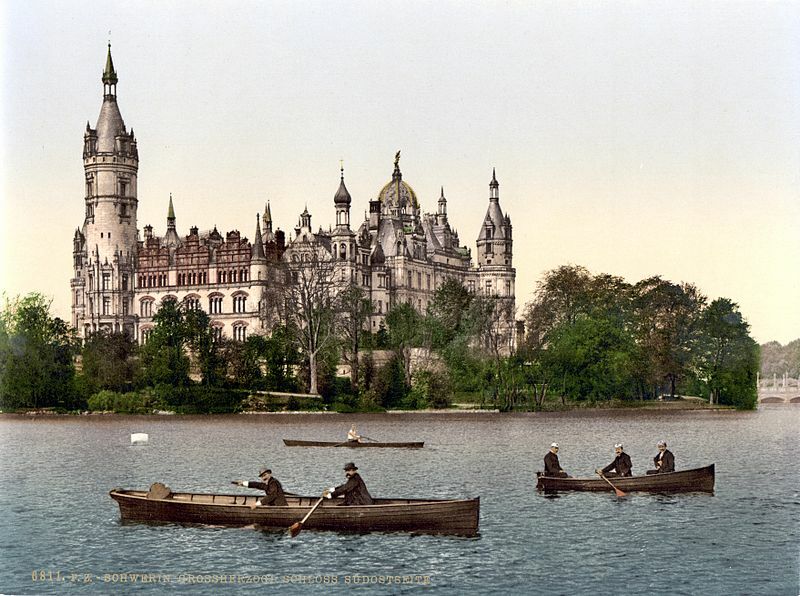 First recorded in 973 AD, Schwerin Palace started off as a tribal fort. Over time it grew in size, value, and reputation – and by the 17th century it was a well-known palace. It withstood many wars and bloody battles, being destroyed more than once. But it was always rebuilt – each time it was made better and more well crafted. Today it is used for administrative political purposes. It is probably most well known for the legend of Petermännchen. Petermännchen is a house spirit who haunts the palace in a heart-warming fashion. He’s a good spirit who is just 3 feet tall and can be seen running around the palace carrying a dagger and lantern. He lives in the secret tunnels below the castle but he emerges whenever the palace needs protection. He wears a feathered hat, has a moustache and has dozens of keys attached to him. His name means little peterman. Little Peterman is a greatly loved character of German folklore and I’m starting to see why. He’s bloody lovable! Reichenstein Castle is a world heritage site. It was built on a mountain surrounded by a forest, fairy tale style. In 1282 it was captured and destroyed by King Rudolf – but it was soon rebuilt. This is nothing unusual, many haunted castles in Germany have been wrecked and rebuilt. Maybe it’s the bloody battles that lead them to be haunted. Reichenstein Castle is supposedly occupied by the ghost of a catholic nun who never made it to heaven. Legend fails to mention why she was refused entry by god but it resulted in uncontrollable rage. The ghost is very dangerous, striking out at anyone it can. Built in the early 18th century, Schloss Nordkirchen has everything a palace should. Namely: a grand building, well kept gardens and a moat. So it’s among the most idyllic Haunted Castles In Germany (in my opinion). A palace without a moat is like a palace without a ghost. Luckily, Schloss Nordkirchen has both. People sometimes report seeing the ghostly horse and carriage storming through the gardens, as if transported straight from the 1700s. Spooky. It is believed that Frankenstein Castle inspired Mary Shelley to write my favorite horror book: Frankenstein. The name Frankenstein means stone of the Franks, who inhabited the area. There are a number of mysteries and legends that surround the castle. One of which, is the legend that the fountain of youth is located on the castle grounds – and that on the first full moon every year, the fountain water has the power to return people to the age they were on their wedding day. So it was good for those who married young. Okay, that’s the fun stuff out of the way; time for the ghosts. It is said to be haunted by the ghost of a knight called Arbogast. In 2008, a tv show called Ghost Hunters International recorded some mysterious sounds inside the castle. The sounds were interpreted as voices speaking in old German. The voices were recognized as saying “Arbo is here”. 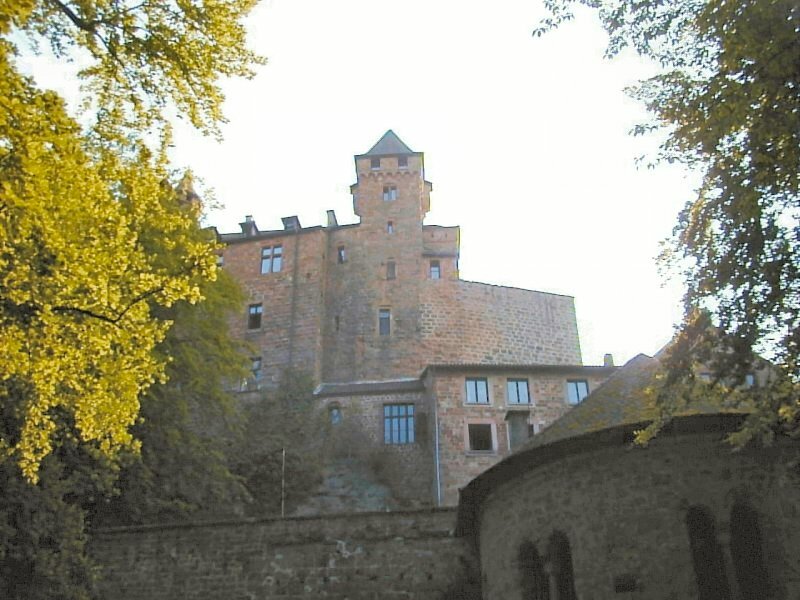 Could Frankenstein castle be haunted by the ghost of Arbogast? And so that concludes this article on Haunted Castles In Germany.